In the final part of our reflections on the Eucharist, we can explore some questions about the Eucharist as a real and true remembering (or memorial) and as a real and true sacrifice, as well as to pull together some final thoughts and ideas. Hopefully, this brief series has been of some help in deepening our understanding and appreciation of the incredible gift that the Eucharist is and that it will also help to enhance our celebration of the Mass and the ways that we can then live the Mass during each and every day. Remembering or memory is a very human and very precious faculty. We all have photographs of loved ones that we carry around with us and perhaps we have a special box where we keep objects that have a special value and memory. We can also reflect, and so recall, how our lives are shaped by the living and ongoing memory of various people and events and how they continue to influence us. Indeed, sometimes memories are so vivid and real that it is as though they still happen to us every day. All this gives us an important clue to the power of the Eucharist as a memorial or as an act of remembering. In fact, the Eucharist is so powerful a memory and such a gift that it is real: just as we spoke of the Eucharist as “real presence”, so we can speak of it as a “real remembering.” When Jesus said “do this in memory of me”, he meant it; so much so that he is not just remembered, but he is present and real (cf. Catechism n. 1363). The Eucharist is an abiding and permanent memorial and presence of the Lord (unlike our human memories that can fade or change with time). It follows from this understanding of memory, that the Eucharist is also a true sacrifice, in the sense that it is a memorial or a re-presentation (making present again) of the once and for all sacrifice of Jesus on the cross for us. As Jesus tells us “this is my body which will be given up for you…this is my blood which will be poured out for you…do this in memory of me.” So, the once and for all act of love, Jesus’ sacrifice and all that it gives to us, is made real, living and present each time we celebrate Mass together. 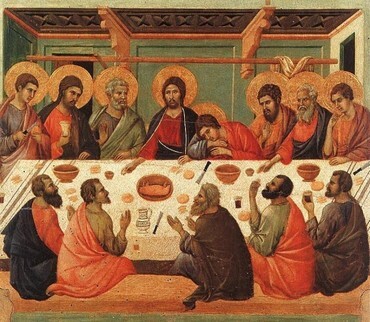 Holy Thursday, Good Friday and Easter Sunday come together as it were, in the celebration of the Mass. Incidentally, this is why we can offer the Mass for particular people or intentions. We are sharing in the fruits of what Jesus did for us once and for all and that is now made real and truly present in the celebration of the Eucharist. As we come to the end of our reflections, perhaps we can explore a few, final questions and make some resolutions too. First, we can remember that we are what we celebrate, that is a Eucharistic people, the body of Christ. 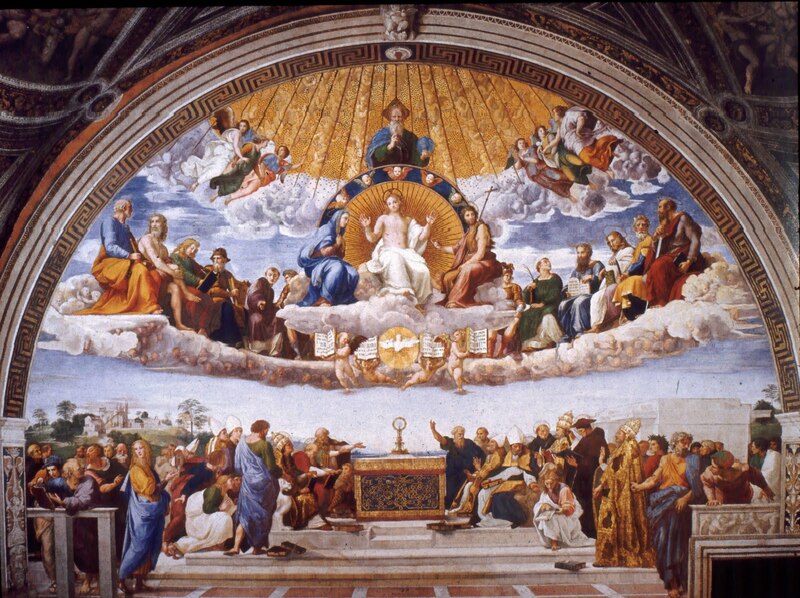 The “holy communion” that we celebrate at the Mass, is, of course, a communion with the Lord (a vertical communion if you like), but it is also a communion with each other (the horizontal element). The Eucharist is indeed the Body of Christ (of our Lord), but it is also about us becoming the body of Christ (through a communion with Christ and with each other). The word eucharist means “thanksgiving” and so being a Eucharistic people is all about a life-style and an attitude that is one of constantly giving thanks. So many spiritual writers tell us again and again that this “attitude of gratitude” is at the very root of a healthy human and spiritual life. Finally, as the ritual of the washing of feet on Holy Thursday so powerfully reminds us, the Eucharist is also a mandate: a commission or order (the ritual is actually called “the Mandatum”). It is a commissioning and a sending forth to bring the love of Christ that we have received to others. This is absolutely central and it is something stressed again and again by Pope Francis. Not for nothing is the Eucharist often called “the sacrament of love.” So, as the dismissal at the end of Mass commands us: let us go forth glorifying the Lord by our life. But can plainly call thee Lord and God as he.